Fancy singing, moving, creating and making? Then our music and arty workshops at the festival are the place for you. 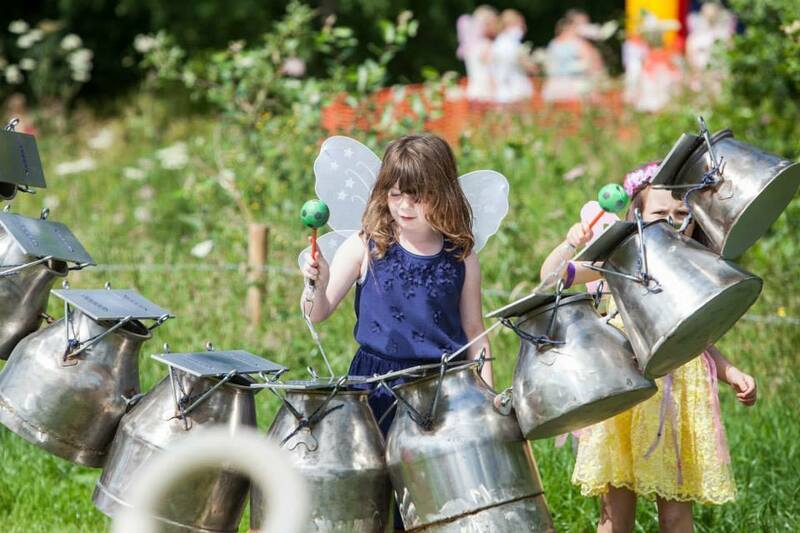 With giant percussive instruments and sound sculptures, the Orchestra of Objects brings a unique musical experience for all our big and little Feastival-goers. Come on by the Village Green to play freely and immerse yourself in a sonic and visual feast for all ages. 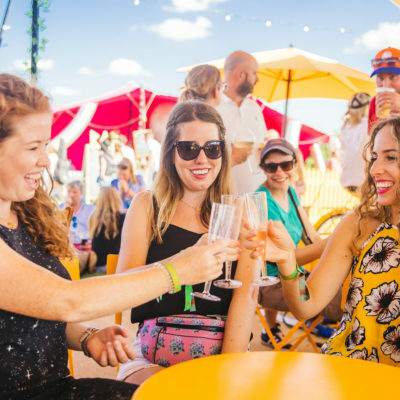 The Workshop is your chance to get seriously creative at The Big Feastival. We are thrilled to be working with the Royal Shakespeare Company again as they celebrate individuality with their brand new 2019 family musical, The Boy in the Dress. From the novel by David Walliams, adapted by Mark Ravenhill and with music and lyrics by Robbie Williams and Guy Chambers, this heart-warming story bursts onto stage in Stratford-upon-Avon from 8 November. Join them for games, dressing up, face painting, workshops and lots more in a Walliams world of football…and fashion! 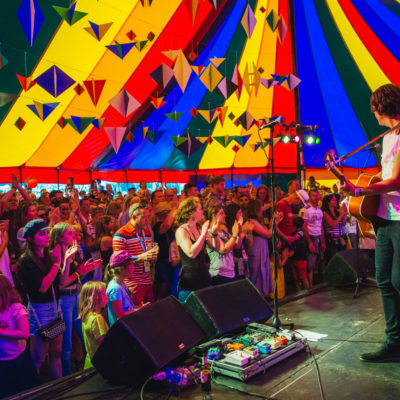 We are so excited to welcome Albert’s Band from the Royal Albert Hall to be with us at The Big Feastival this summer. Join musicians from the Royal Albert Hall for an interactive family workshop in which we will create an amazing new piece of music each day inspired by the headline act from The Big Feastival main stage. No prior musical experience necessary, just lots of enthusiasm. Returning this summer, creativity knows no boundaries in the zone dedicated to arts and crafts. Paint, colour, stick and print until your heart is content! The Makery first opened its doors in Bath in 2009. Dedicated to empowering people with creative skills, The Makery has taught a whopping 90,000 people from its HQ in Bath and concession in John Lewis, Oxford Street. The Makery’s craft kits are available around the world and with two craft books under her belt The Makery's Kate has established herself as one of the UK’s leading craft experts. The Makery regularly works with high profile businesses such as Soho House, W Hotels, Warner Brothers and Stylist using craft and creativity to engage customers with brands. 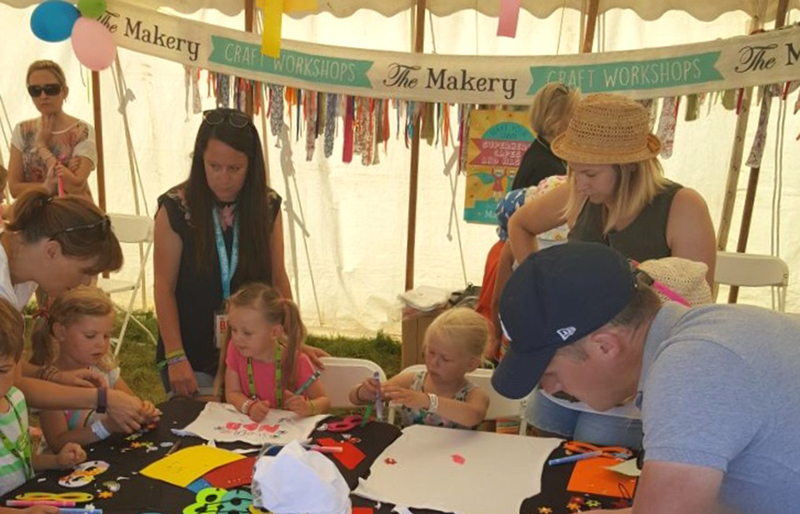 The Makery will entertain kids young and old with their exciting crafty activities in the arts and craft area. Watch this space for more information about the crafts you can make and take away! 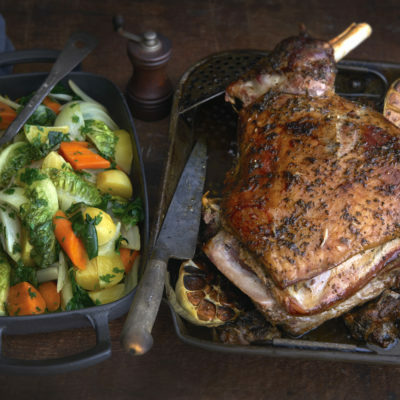 Get back to nature with West Country Bushcraft at The Big Feastival. Take part in a Willow Workshop where you will learn to weave something delightful to take home with you! If you can handle something a little hotter then the fire lighting workshop is for you. Teaching you all the skills to light a fire out in the wild, an essential for every keen camper.